I had a moment this afternoon when I realised how repetitive my life has been since starting work in sydney. 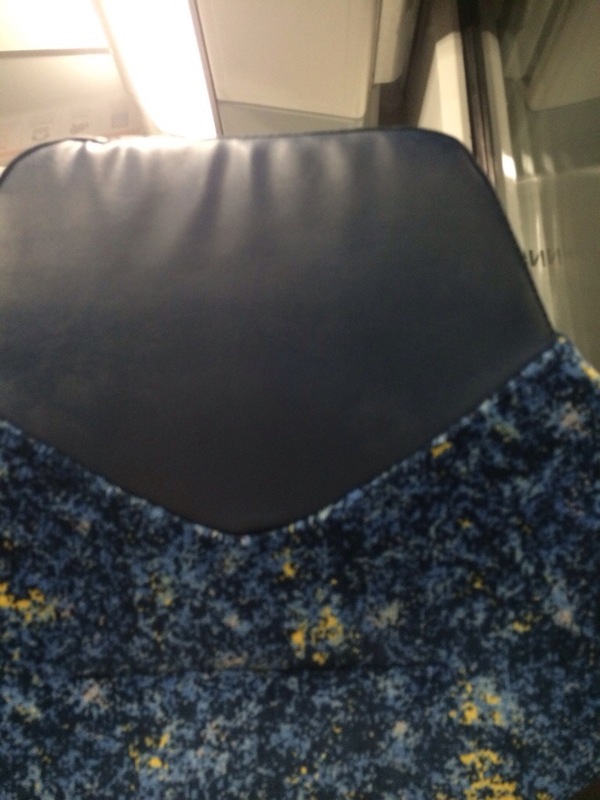 I spend 2 hours a day looking at the back of a train seat. It makes your brain do funny things if you think about it too long. I start going a little bit crazy when I begin to ask questions like- who chose this pattern for the train seats? Why the yellow? Wouldn’t it have just been cheaper to do one solid colour? Did they hire someone to design them? I think the worst thing about catching trains every day is that I live in a country where people don’t respect rules. Australians are notorious for their “F**k the POLICE!” Mentality which weirdly also applies to common rules and standards, such as the Quiet carriage on Cityrail trains. I literally cannot even explain the rage inside my soul when I am drifting in to a soft lulled sleep when some IDIOT gets on the quiet carriage and starts yapping away on their phone. It puts you in a weird position..
Me: excuse me, this is a quiet carriage. Loud person: Nah nah nah … Straya mate.